As the New Year rolls in, we all make resolutions and focus on improving certain areas of our life. Some of us focus on fitness. Others make our family, friends, and relationships a priority in the coming year. Many focus on finances, too. Whatever you choose to focus on in the coming year, we want to wish you the best of luck in achieving your resolution. The Olathe Landscaper in us hopes you make your lawn, landscaping, and garden a priority in the coming year. Motivation is always necessary. No matter what you’re doing, you need to have the motivation to get it done. Landscaping is no different. You don’t need to drive around for hours on end admiring the neighbors’ lawns from the car. Just open a browser and start looking through landscaping ideas from around the world on the web. 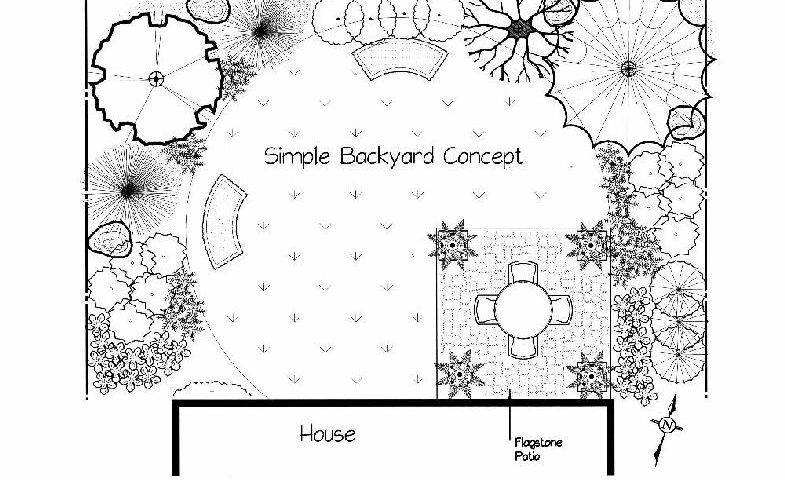 Once you have a few fun ideas and some inspiration, it’s time to plan your landscaping ideas out. Make a strategy and stick to it. How many days do you need to complete a landscaping project? Do you need to hire a professional Olathe landscaper? To ensure your plan will work to perfection; you’ll want to map everything out precisely. Make sure everyone will have space to walk around your landscape. You’ll also need to plan for growth because your plants will grow during the year. The best way to avoid a landscaping disaster is to stay on schedule and stick to the script. This means you need to plant your garden at the suggest time of the year. Listen to the horticulturalists. You can’t plant a perennial in the dog days of summer and expect great things. Some of the best landscapes I’ve ever seen offer a stark contrast to the exterior of the home. For example, if you have a modern designed exterior, then a Zen-like garden could provide a tranquil, yet stunning contrast to your home. Before you go head over heels on a challenging landscaping project, make sure to pay attention to maintenance. Be honest about the amount of effort you’re willing to spend on maintenance and only plant things that fit within your lifestyle. Luckily, there are plants for every effort-level. You can find high and low maintenance plants. Just ask your Olathe landscaper to give you some helpful hints when picking plants in the New Year. Another interesting aspect of maintenance is pest planning. You’ll want to understand the pest found in your area and take them into account from a maintenance aspect. You may need to add fencing or wire mesh during certain times of the year to ensure your efforts don’t get destroyed. Fall isn’t exactly fun, and winter worries us. From a gardening and landscaping perspective, these months aren’t the most fun. So what season is spectacular? Springtime! 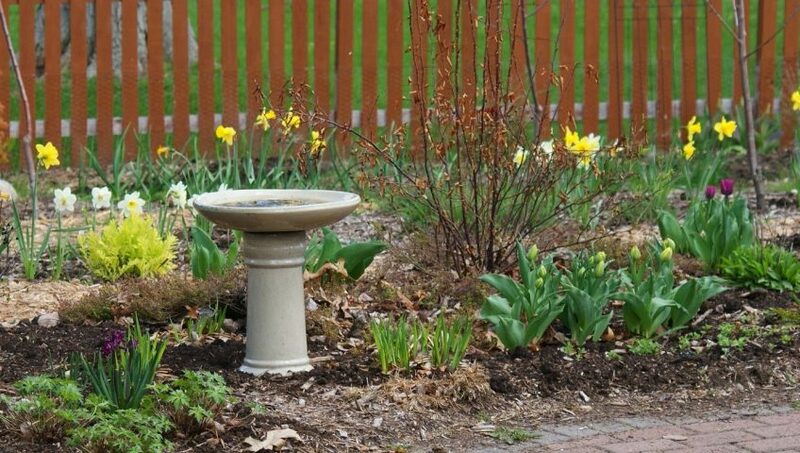 If you’re in love with your landscaping and giddy about gardening, then you love when spring has sprung. You know that a little effort on your part before the fresh weather finds its way to Olathe can add a lot of value to your landscaping efforts. As spring rolls in, you’ll want to clean up your landscaping. Keep the garden beds and the lawn fresh and clean as the weather changes. Make it a habit to pick up branches, debris, and more during the cold months. Once the good weather hits, you’ll be back doing the fun stuff – instead of cleaning up. You’ll want to focus on primping and pruning right as spring hits. Start by removing any weeds in garden beds. Then give your perennials a good trimming and haircut. Next, focus on lightly pruning trees and shrubs. Make sure to remove any and all dead branches. A huge part of your landscape is your lawn. You may hire a professional Olathe Landscaper to mow your lawn, or you may do it yourself. If you mow your lawn, then make sure you sharpen the mower blades before taking a crack at the lawn for the first time in the spring. If you don’t, you may damage the grass, as unsharpened blades tear the grass instead of cutting it. P.S: Make sure to mow your lawn a little higher in the spring. The grass is still starting to grow during this time. You can damage it by cutting it too low too soon. Your plants need proper nutrition to grow. So make sure to feed your plants some fresh compost and fertilizer as the weather changes. Test your soil before you do anything. This can help you find out if the soil is deficient in any nutrients your plants require. Don’t forget to get out the mulch as spring comes. You’ll want to add a 4-5 inch layer of the freshest mulch to all your garden beds. This will reduce the amount of weeds you’ll deal with this year. If you want to move plants around or plant some new ones, then the springtime is perfect. The temperatures are comfortable, and your plants will be able to adjust to a new area much easier. Trying to transplant during a drought or high heat just won’t work as well. Trust your favorite Olathe landscaper on this!